“Innovation” and “force modernization” are the Pentagon buzzwords of the day. Strategies are being developed across the Department of Defense enterprise, with these concepts as the foundational pillars. Is this a flawed idea involving competing philosophies? Can the U.S. be truly innovative if it wants to rapidly modernize its force? For the first time in decades, the United States military apparatus does not possess a clear advantage on the world stage. The flattening of the technological landscape and emergence of peer adversaries requires that the U.S. innovate to remain dominant. While technological progress remains critical, fielding systems more rapidly is also necessary. The new undersecretary for research and engineering, Michael Griffin, and other DoD leaders believe rapid prototyping in coordination with commercial partnerships could provide the solution. They emphasize this approach in the fiscal 2019 budget request — $90 billion in research, development, testing and engineering accounts with increases concentrated in late-stage development, prototyping and testing activities. History shows this is not a new philosophy; rather, it is a shift from the failed approach of the recent past. Case in point, the Army invested $18 billion of taxpayer money into Future Combat Systems, or FCS. The failed modernization program never really had a chance. Its leap-ahead technological advancements were based on operational assumptions driven by embryonic technologies. Three-quarters of all technology needed to field FCS systems was considered early stage in nature. Prototypes and demonstrations were not scheduled until shortly before production was set to commence — four years and billions of dollars after research began. The science and technology community and their industry partners failed to work with Army operators until it was too late. Army leaders were so enamored with envisioned capabilities that they ignored operational realities. Only two decades prior to FCS, the “Big Five” programs (M1 Abrams, M2 Bradley, Patriot missile, Black Hawk and Apache) demonstrated the successful use of the currently espoused approach. Each program arguably provided 5 to 10 times the capability improvement over its contemporary system and moved through the procurement cycle efficiently. What commonalities did these programs share that contributed to their success? First, each program exhibited close partnership between industry as well as science and technology. For many of these programs, multiple commercial partners competed in concept design prior to program award, and the ultimate requests for proposals incorporated ideas from multiple entities. Second, prototyping and experimentation occurred early and often between industry and operators. Successes and lessons learned from each incremental demonstration provided not only technological know-how but also operational awareness. Operators were able to help author requirements doctrine to support the procurement process. Finally, all programs began with a relatively mature technological foundation. Industry utilized off-the-shelf capabilities and improved them through novel advancements to gain leap-ahead breakthroughs. Technical risk-taking was more focused on the integration of mature technologies rather than fundamental scientific breakthroughs. What does this mean for the current military? Just recently, Army Secretary Mark Esper approved a revised plan to accelerate the new Optionally Manned Fighting Vehicle, or OMFV. The approved plan showcases how risk, innovation and prototyping will work together to enable progress and disruption. Secretary Esper scrapped the existing plan to field the OMFV by FY28 because it was too slow and used a “clean-sheet design.” Rather than the longer, more risky approach, Esper opted to “heavily modify off-the-shelf technology” by integrating novel ideas and advancements. The plan will utilize rapid prototyping to experiment with the integration of new sensors and shooters onto the mature chassis and turret. Like the “Big five” programs of the 1980s, innovation will be focused on integration and modest technical breakthroughs rather than attempting to push the boundaries of what is possible. Unlike the 1980s, advancements in physics-based modeling, high-performance computing and additive manufacturing accelerate and increase the fidelity of testing and prototyping. These advancements provide greater opportunity to innovate and reduce risk. 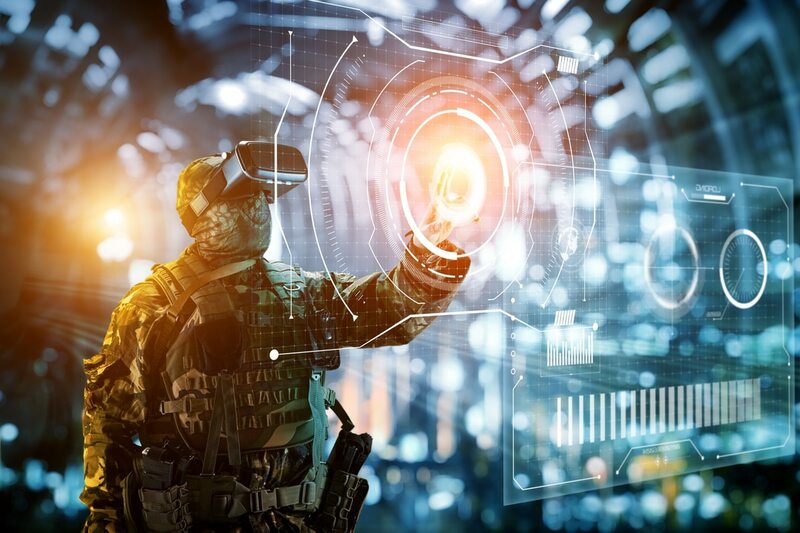 Technology is put in the hands of operators much faster and with limited investment — the DoD is finally positioned to move beyond the failed programs of the past. The OMFV example showcases how the DoD will deal with requirements-driven programs; however, disruption through prototyping is not limited to technology-pull programs. Many of the most important disruptive advancements of the 20th century were need-based rather than requirements-driven programs. Surveillance drones, night vision goggles, laser-guided bombs, cruise and ballistic missiles, and radar all started as technology-push concepts that utilized prototyping and experimentation with operators to demonstrate the art of the possible. There is no simple answer for how the U.S. can regain its military dominance. Perhaps the use of prototyping can serve as a foundational tool to accelerate procurement and provide innovative solutions. History has shown that innovation and force modernization do not have to be competing philosophies. Industry partners, military operators, and members of the science and technology communities should certainly take notice — DoD leaders are increasingly placing their bets on rapid prototyping.